If you are in search of a user-friendly and high-performing pattern rail to give your rifle M-Lok capabilities, the AIM Sports 12" HK91 Carbine M-Lok Rifle Handguard is the right solution for you. 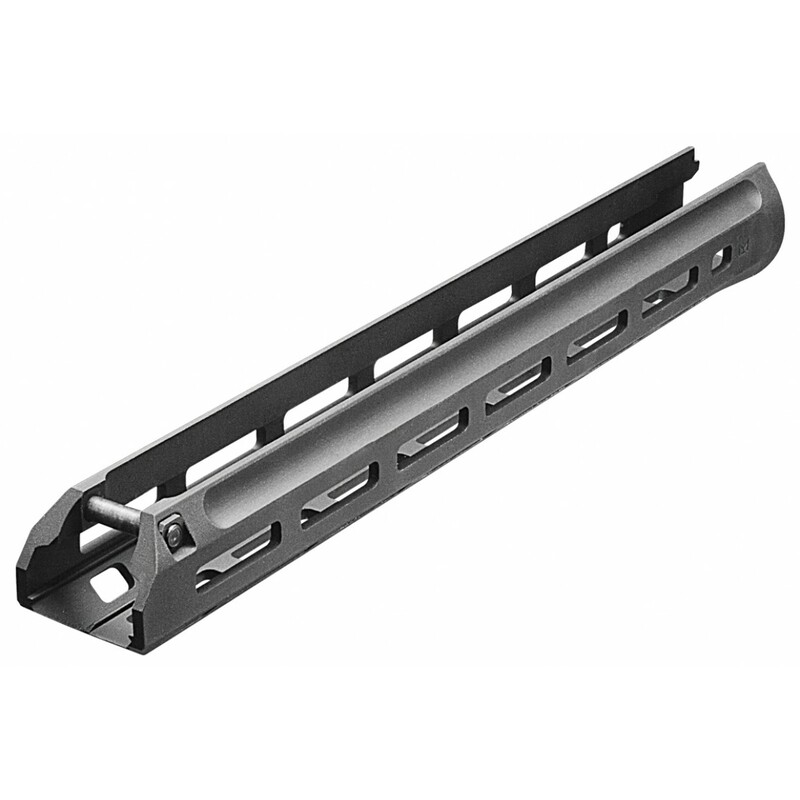 This state-of-the-art pattern rail features a sleek, streamlined design and an ultra-low-profile handguard with generous mounting space to accept all M-Lok accessories. Engineered with superior ergonomics by the world-renowned team at AIM Sports, the crown jewel of this pattern rail is its and simple, drop-in installation design. Install it in seconds without the need for gunsmithing and make use of its 5 rows of M-Lok for ultimate modularity. You simply won't find a more user-friendly HK pattern rail on the market. Made from black anodized 6061 T6 aluminum, the AIM Sports 12" HK91 Carbine M-Lok Rifle Handguard is built to perform and built to last. Lightweight and durable, this variant fits GI length 7.62 rifles. Order yours with safe and secure shipping here at Airsoft GI, and outfit your rifle with best-in-class M-Lok capabilities today!